Until recently, polygenic (complex) diseases were beyond the capacity of first-generation sequencing, but next-generation sequencing (NGS) in making exploration of genetic etiology of complex diseases a possibility for the first time. 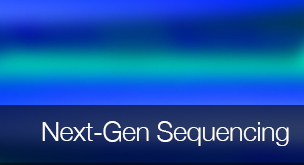 NGS is a rapidly growing area of genomics and gene sequencing, and the rapid changes hold more promise for exome decoding than ever before. "NGS offers rapid sequencing of the entire human genome compared to traditional molecular testing that focuses on a single gene at a time. And it does so at low cost with high accuracy," explains Konstantinos N. Lazaridis, M.D., Enterprise Director of the Individual Medicine Clinic. The majority of disease-causing mutations occur in the 1.7 percent of the human genome known as the exome, so at present NGS is used, in clinical applications, to assess only protein-coding genes. This can be especially useful with patients for whom testing of individual genes failed to make a diagnosis. Dr. Lazaridis notes, "In the past, GI patients would come to us, and if we were thinking about familial testing, we would send out a specimen to look for a specific gene. If the test came back negative, there would be no further follow-up. Now we have the ability to integrate whole-genome or whole-exome sequencing into patient care. This global approach goes far beyond single-gene testing." Another clinical application for NGS is targeted sequencing for gene panels of a specific disease, such as hereditary colon cancer. In this process, certain capture strategies are used to enrich subsets of genes or exons, allowing more accurate detection of variants.